So a friend of mine sent me a message today with the very enticing subject of "FW: Has it Come to This?" To anyone who knows me that is like a shiny quarter to a kid, try as I might I am not able to resist, and to top it off the name of the file was gas.wmv. After a nice leisurely lunch with my mathematician friends about the current energy problem the world is facing I could not resist. There is one problem though, wmv is a windows format for movies and is not supported by quick time. As far as reasons why, I will resist the leap into that rabbit hole and go with "just because." So not to be outdone by Uncle Bill I started looking for my favorite kind of software solution, free! My Google search first brought me the flip-4-mac free version, but I really like to avoid the trial versions of things if I can help it. 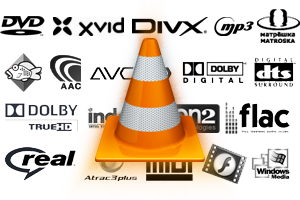 Then I happened to remember the VLC media player that I have used on Linux machines for years, and on their website they have the mac version on center stage. The installation was super easy (drag the app to the applications folder) and now I have watched the movie. The movie was funny, but now I am prepared for whatever procrastination inducing forwards find their way into my inbox! Seriously, it is a great app and I recommend it for Mac or Linux, and I would wager that it would use less resources than QuickTime, Windows Media Player, or iTunes on the windows platform. It was a little heavier on the memory usage, but lighter on the cpu than QuickTime or iTunes on the Mac with an audio file.